A number of neighborhood roads in six sub-districts in North Jakarta have entered repair stage. The repair itself uses hotmix and concretization method.
" The road repair is proposal from the aspirations of the people and follow-up program of the Bina Marge Sub-dept." According to Ujang Royani, Section Head of Road and Bridge for North Jakarta Bina Marga Sub-dept., the repair has reached about 85-90 percent. "Repair method is varied. Among them are hotmix with a thickness of about 3 centimeters and concretization with a thickness of about 12 centimeters," he expressed, Wednesday (10/18). 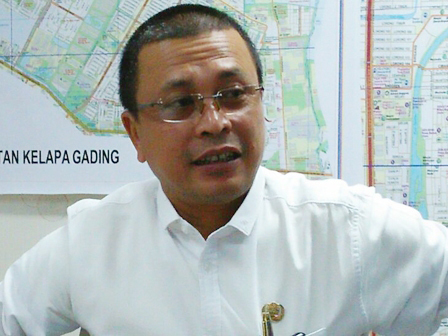 He details, those roads repaired are located in Tanjung Priok Sub-district with a total area of 29,000 square meters by spending Rp 18.2 billion, Penjaringan Sub-district with 10,300 square meters wide spending Rp 6.6 billion. Further, there are also in Pademangan Sub-district with 10,580 square meters wide spending Rp 6.8 billion, Cilincing Sub-district with 34,800 square meters wide spending Rp 16.05 billion, Kelapa Gading Sub-district with 11,200 square meters wide spending Rp 5.3 billion, and Koja Sub-district with 25,100 square meters wide spending Rp 11.5 billion. "The road repair is proposal from the aspirations of the people and follow-up program of the Bina Marge Sub-dept.," he closed.